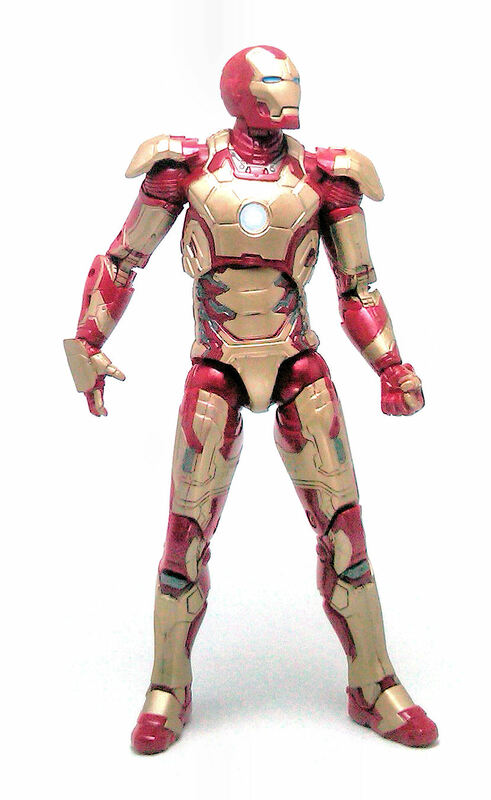 The Iron Man Mark 42 armor was shown about a year ago during the 2012 San Diego Comic Con, but Hasbro did not really show anything in their Marvel Legends line up until the movie premiere. Although, technically speaking these are not Marvel Legends figures, as they are being sold under the Iron Man Legends moniker. 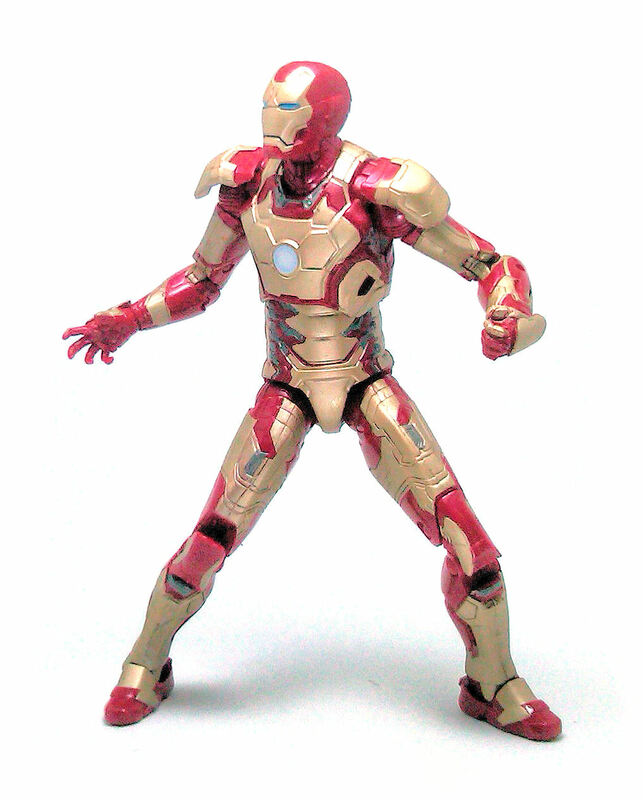 The relevant thing is that the Mk.42 suit is really nice and the action figure version is a very good representation of it. The overall proportions are slimmer than those of the armor we saw in The Avengers, suggesting that this is a more compact, efficient build, although not as heavily armed as previous armor iterations. 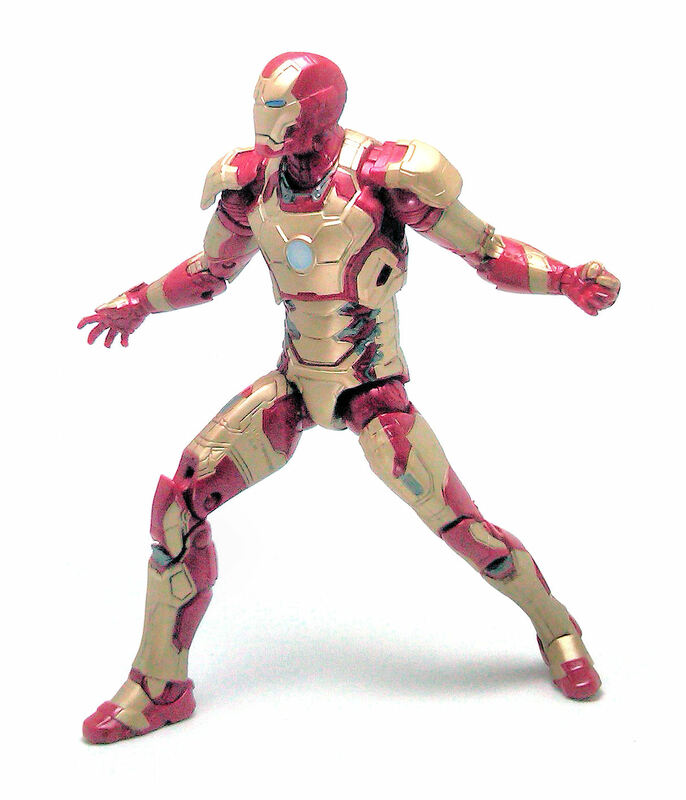 All these joints work fine, although the ankles cannot bend forward too much, and the wrists cannot bend upwards to have the palms facing forward but, despite these limitations imposed by the armor design, the Mark 42 turned out to be more limber than I expected. Even the shoulder pads turned out to be less restrictive than one would think, despite being apparently glued to the torso. These pieces look as if they had hinges in them but on my figure they don’t move at all. Since each shoulder pad was made from a fairly flexible material both arms can move upwards without much trouble, so I don’t really care if these were meant to be articulated or not. 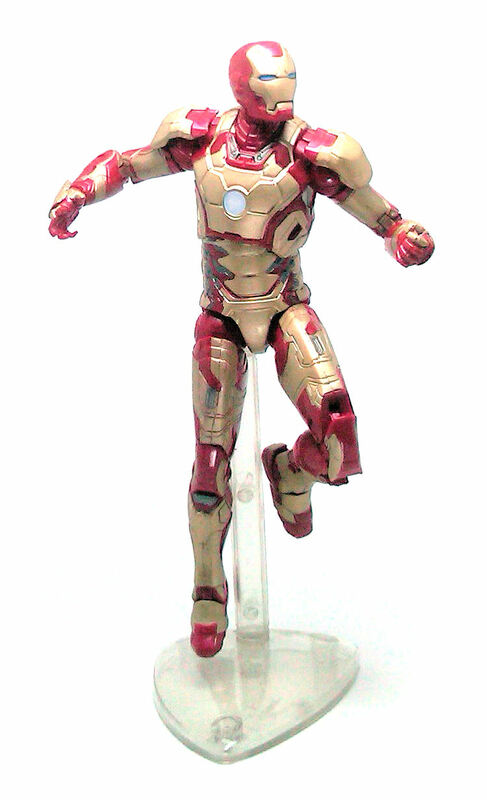 This Iron Man was cast in a type of red plastic that seems to have some amount of pearlescent resin in it, which produces a nice, glossy metallic finish. The golden panels in the armor are painted over the red plastic using a very pale gold color, although these gold paint apps are not as neat as I would like. The gold will sometimes go outside the lines, and there will also be a few paint rubs and/or coverage issues on the deeper points of the sculpt, but considering the amount of punishment this suit took in the first few minutes of the movie, you can almost dismiss all this as battle damage. The eyes and chest reactor on my figure were actually neatly painted although the emitter on his right hand was left inexplicably unpainted. To be honest, I did not notice any glaring errors up until I started taking pictures of this figure and even so, I don’t think any of these warrant any touch ups. 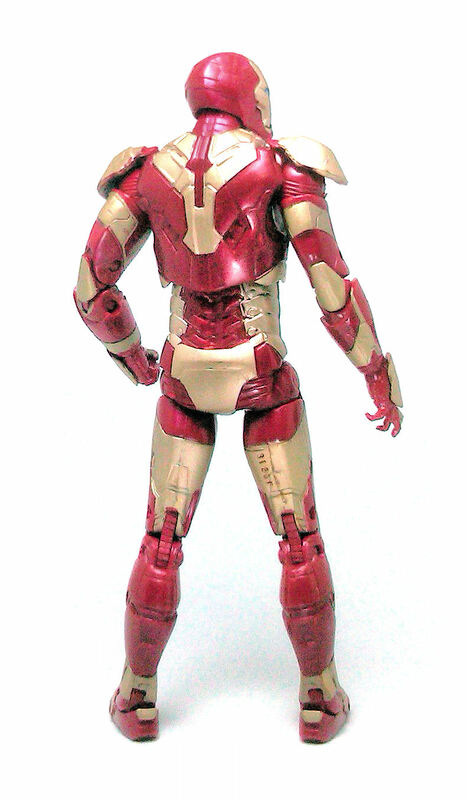 The Mk.42 Iron Man belongs to what Hasbro calls the Iron Monger Series, so included with the figure is the right arm piece to complete that character. 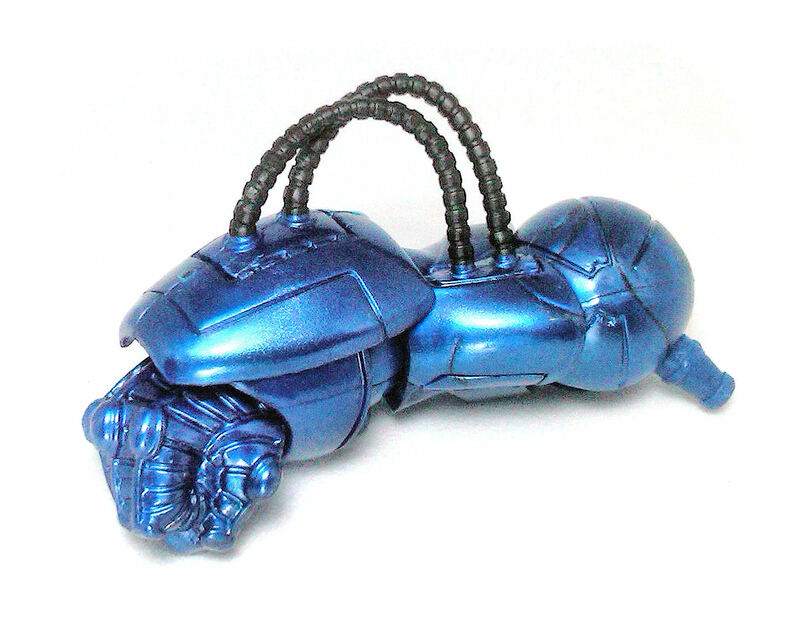 The Iron Monger arm feels heavy and is made from a blue plastic that has a metallic sheen similar to the red plastic used for the Iron Man figure. 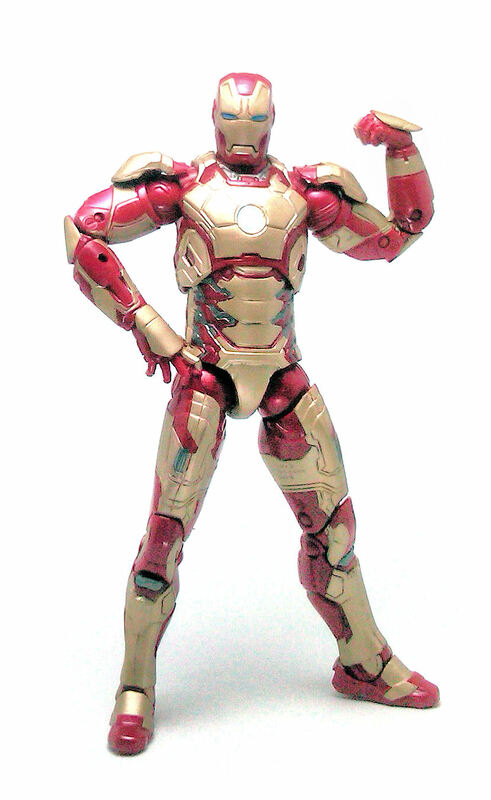 Overall, I really liked this version of Iron Man. Even with the less than perfect paintjob and lack of real accessories, I think this is a mighty fine version of the character and certainly my favorite armor from the movie.